MailChimp is used by so many businesses for their mail outs, you will often see their logo at the bottom. It is free to use for up to 2,000 subscribers and 12,000 emails per month. It can be used in a few different ways, if you have a blog, you can set it up to automatically send out new posts. You can also design newsletters to send out to your subscribers as and when you want to. The bonus of using it over other newsletters and subscriptions like jetpack is that you can see the stats of how many people opened it and then also clicked it. It also allows you to design the newsletters and mail outs to match your brand. 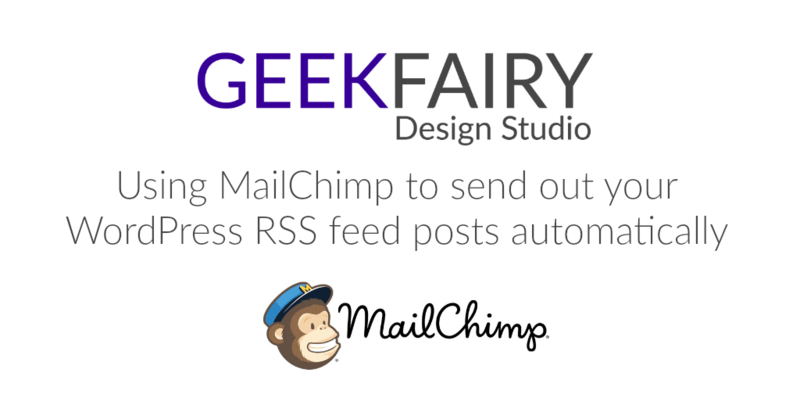 Here I will guide you through setting up MailChimp to automatically send out new posts from your WordPress self hosted site. 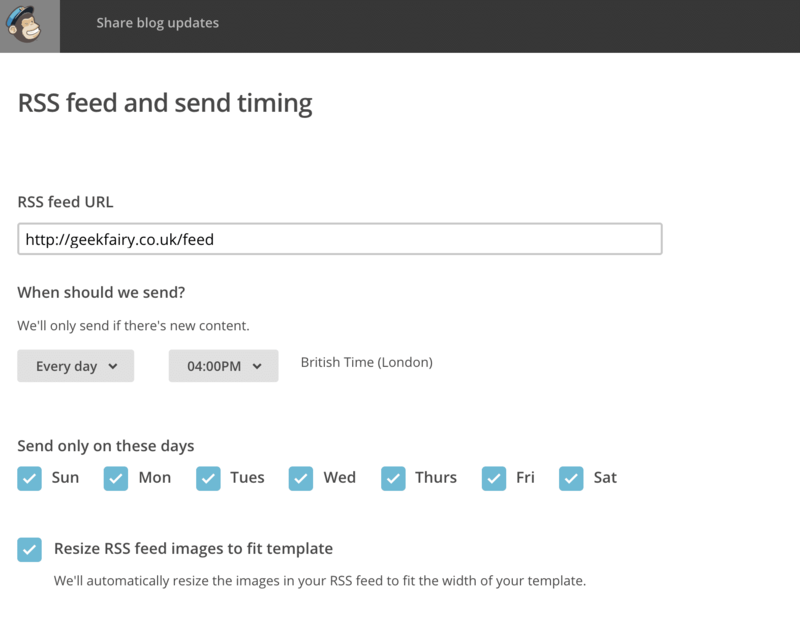 An RSS feed is a feed with your latest posts that people can sign up to. 6. The subscribers list below is auto generated when you set up the account, we can use this for now, and change it later if we need to. 9. Change the settings for when it should be sent (it will only go if there is a new blog post/s) and on what days. You need to add a box to your site for people to sign up, to join your mailing list. There are 2 options, using a plugin or embedding code into your site. Then choose embedded form and design the form as you want it. Copy the code and drop it into a WordPress side bar widget, page or post.